In this hookup with Lomography we’d like to see the best of your analogue photographs, hear from you about what you feel analogue photography does best, and why you still shoot on film or transparency. Increase your chances of success by telling us in the description box which analogue camera you used and why you used it! Any images not fitting the brief will be removed from the contest. Prizes will be a choice between a Lomography Lomo’instant Wide camera and a Spinner & selection of film. Digital photography from its earliest days was compared critically to the analogue photography that we all had known and (largely) loved since we first started snapping. Debates raged, and still do, about what might have been lost in terms of the subtleties and personality that analogue photography brings to an image, and whether the convenience that digital offers outweighs any perceived downsides. And just as vinyl is now making a resurgence in music, many photographers are now drawn to shooting on film again, and for many reasons. In this hookup with Lomography we’d like to see the best of your analogue photographs, hear from you about what you feel analogue photography does best, and why you still shoot on film or transparency. Over to you! Prizes will be a choice between a Lomography Lomo’instant Wide camera , and a Spinner & selection of film. 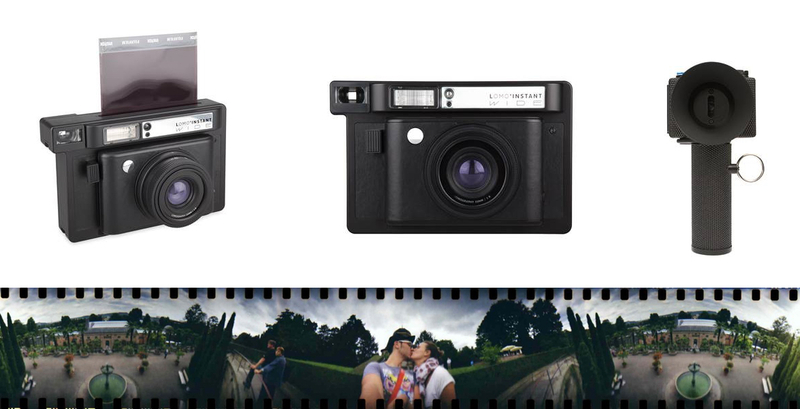 Plus, your photos could be featured on Lomography’s and Photocrowd’s social media channels!